People stop to admire a '48 Dodge Custom at the 3rd annual Fairfield University Antique & Classic Car Show, Sunday, Aug. 6, 2017, in Fairfield, Conn.
FAIRFIELD — Engines roared, old-time tunes played, and hundreds of vintage automobile fans fawned over the sea of cars at Fairfield University Aug. 6. 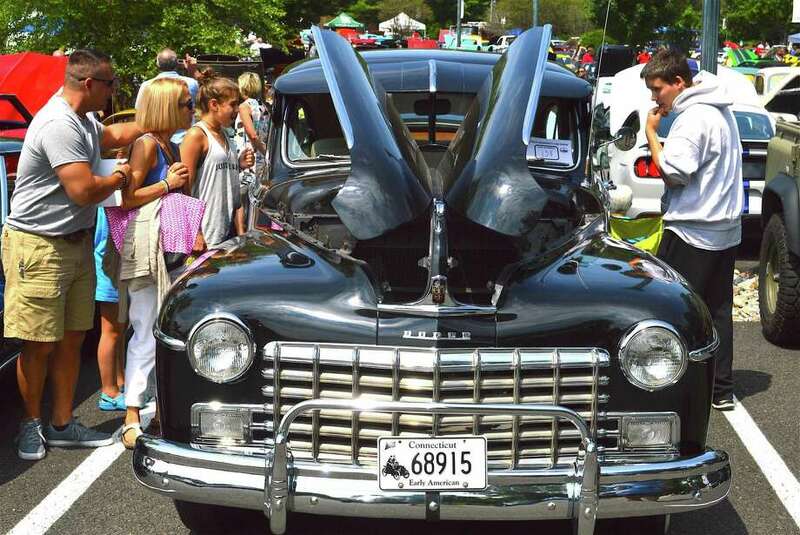 The Connecticut Seaport Car Club held its 3rd annual Antique & Classic Car Show outside Fairfield University’s Quick Center. Pushed back a day by Saturday’s rain, the event still roared with success, featuring awards, a special flag ceremony honoring military veterans, and close to 200 amazing cars spanning more than a century. Money raised through the event went to various charities, including the Shriners Children Hospital.